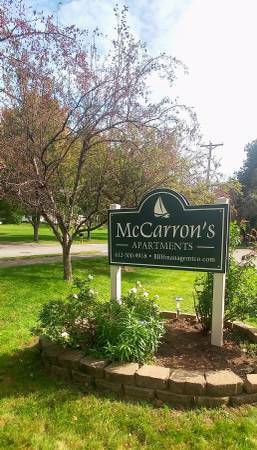 ​​McCarron's Apartments offers 1 & 2 bedroom apartments. The 1 bedrooms are about 700 sq. ft, with brand new windows, and the 2 bedrooms are about 800 sq. ft. We are located right on the bus line and minutes away from things you might want and need!